Natural sleeping comfort in small. A strong, elastic futon that makes fun, more than sufficient for children up to ca. 40, 50 kg and afterwards useable as a mat for all kind of things or as a sleeping place during their youth when combined to a TWIN Futon with another, lighter futon. The equivalent to the Yasumi but without latex, which makes the lying feel firmer. In the beginning rather soft and cozy until the fibres have settled, requires some care. Can also be upgraded to a TWIN Futon later on. The classic among the children / youth futons ... stable, soft, earthy, from the baby up until the adult age. The equivalent to the DX 2 from the Bio ('organic') collection, using the same structure but with organic cotton even on the inside and with our extra bulgy wool on the surface a little softer in terms of lying feel ... recommended with horsehair. Children aged 4-14 (depending on height and weight) best lie on a rather firm base, because their bone structure is still soft and their muscles have not developed much. Futons are suited perfectly and due to the low weight of the children and the high quality of our futons, especially our light models are suitable. 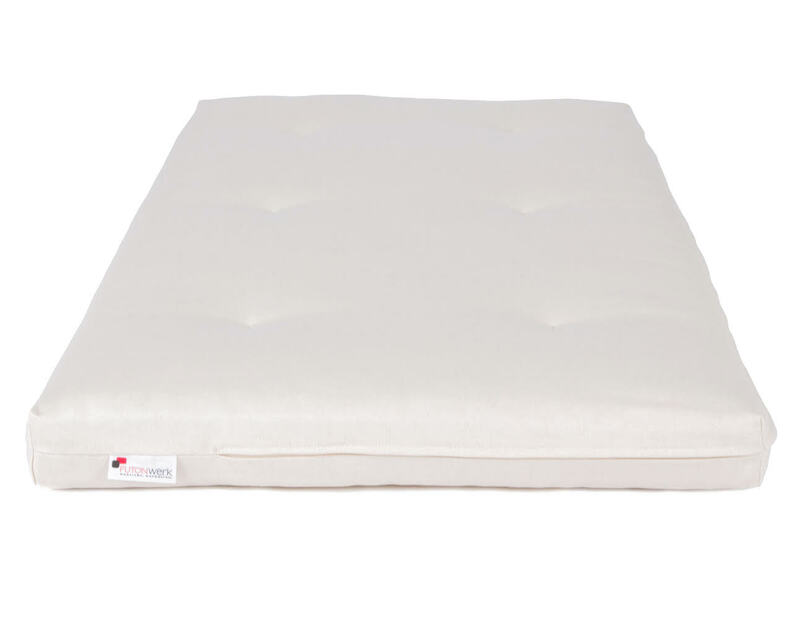 On the floor or with a roll-up frame on a bed, allowing the offspring to be bedded well. You can, of course, also pick any stronger futon, but the futons shown here fulfill their purpose for this period of life completely.